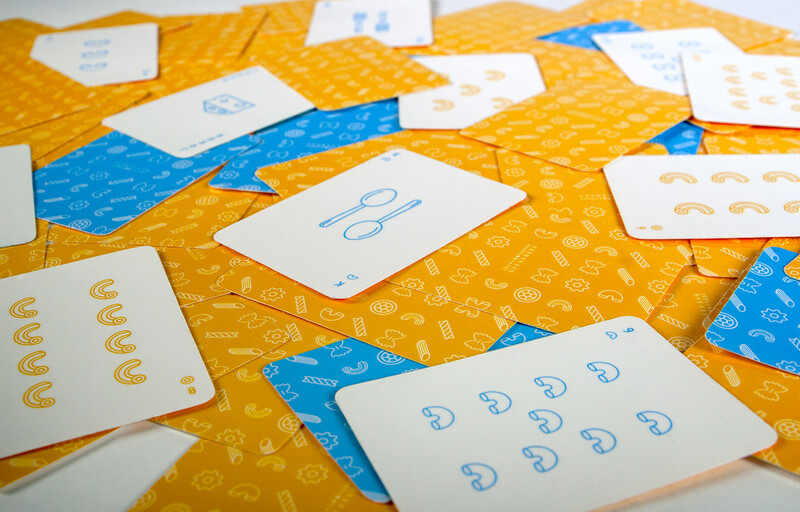 I have always wanted to redesign an entire deck of cards and create my own version. 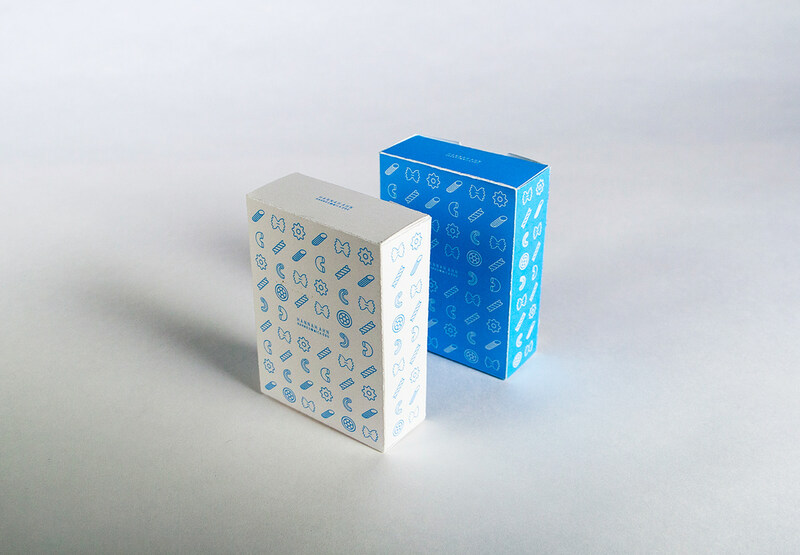 Knowing what “leave-behind” object to make, I focused on the self-branding aspect of the project. 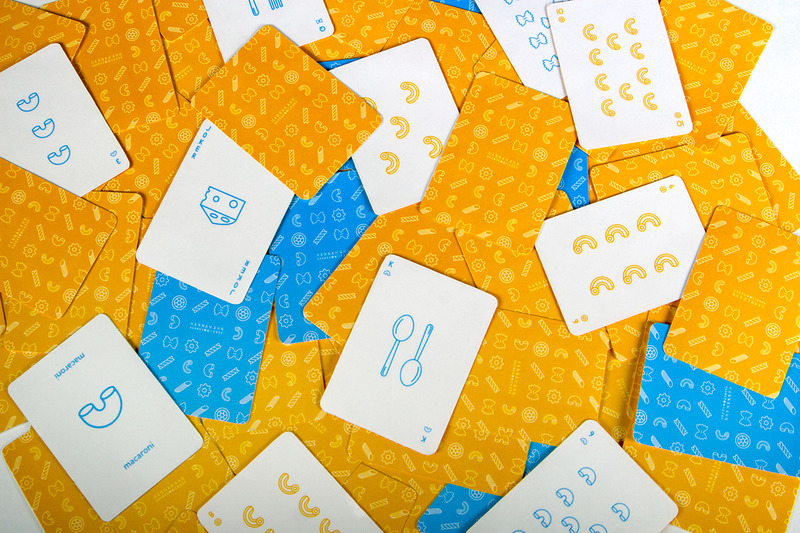 Inspired by the concept of forced connections of a favorite object and a favorite design concept, I decided to combine my favorite food, pasta, and my favorite design element, graphic patterns, into my cards. I replaced the shapes of the four suits with different types of pasta: Rotini, Macaroni, Farfalle, and Cavatappi. 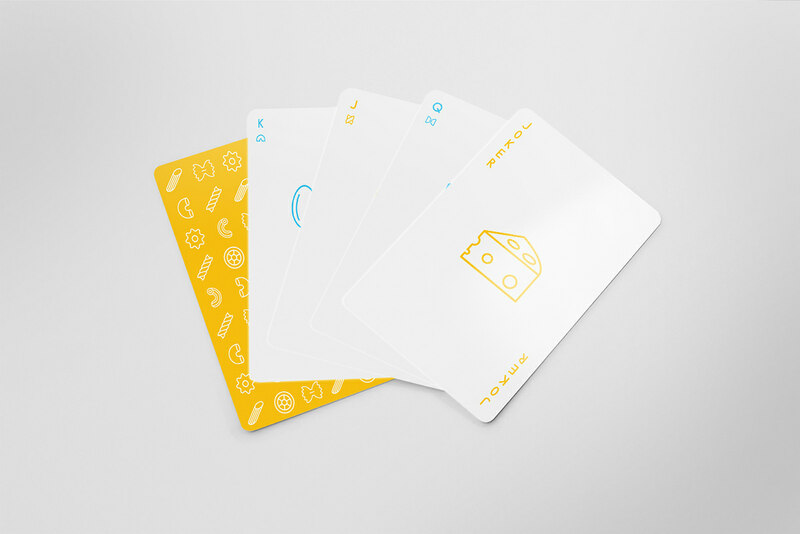 All Royals were replaced with silverware and the Joker was replaced with a Cheese icon. I constructed the cases for the deck using the same pattern with a different color palette.